White hair occurs naturally as you age, but even when hair starts to turn gray, few people actually end up with a pure white color. The fact that this color rarely occurs naturally, coupled with the notorious difficulty involved in dyeing your hair white, has made white hair a rare sight. Everywhere you go you see people with all different shades of light blonde, vibrant reds and burgundy shades, and even unnatural colors like blue or green, yet perfectly white hair that has been dyed instead of attained naturally is a true rarity. However, you can achieve hair that is pure as the driven snow, once you learn how to dye hair white properly. White hair is surrounded by misconceptions. It is a common belief that hair needs to be bleached until it is completely devoid of color in order to achieve it, but this is outright wrong. You'll actually end up destroying your hair before you can remove every last trace of pigment due to the way bleach works. Bleach is able to lighten your hair through a chemical reaction called oxidation. This reaction alters the structure of two compounds: melanin and keratin. As melanin is the pigment that gives your hair its natural color, the structural change that occurs here is desirable because it decolorizes the molecule. 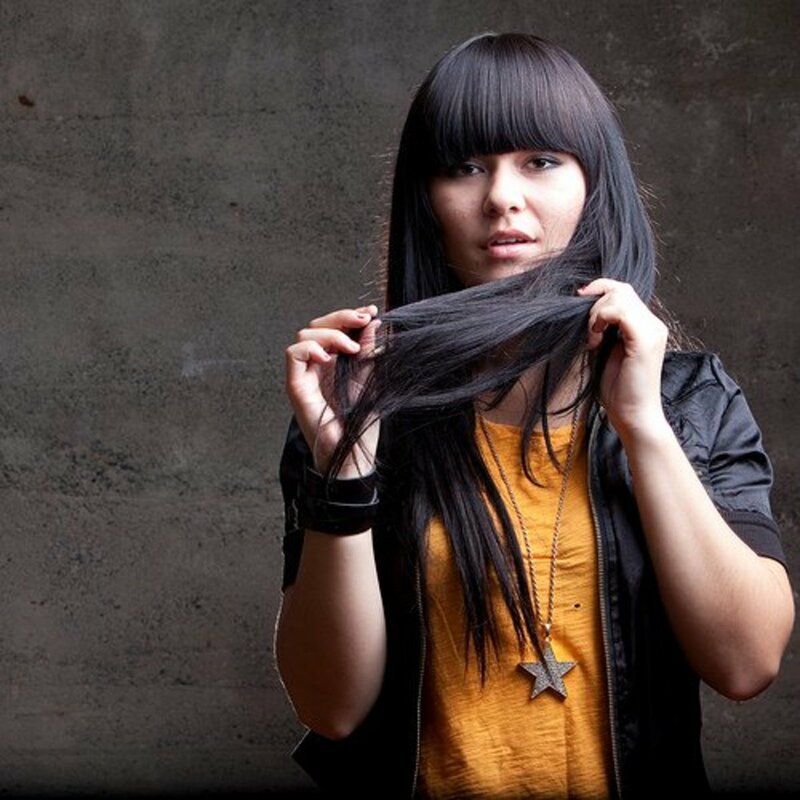 Keratin, on the other hand, is a protein that comprises the shape and physical characteristics of the hair shaft itself, and oxidation causes crucial bonds between keratin molecules to be broken. This reduces the strength of your hair, leading to tearing, split ends, and other symptoms of damage. In the most severe cases of damage, the hair appears to melt after processing because the protein is extensively denatured. Luckily, melanin is far more sensitive to the chemical reaction of bleach, allowing it to be more readily affected than keratin. The small amount of damage to the keratin will usually be unnoticeable when hair hasn't been processed too heavily. If you bleach your hair to the point where all the melanin has been changed however, this leads to severe damage because the lack of melanin makes it more likely for keratin to be oxidized. To achieve a flawless looking white result, whilst minimizing damage, you need to take your hair to the palest yellow stage where a trace of pigment is left, but no further than that. Once at this point, your hair will then need to be toned to neutralize the appearance of this pigment and dye it white. If you're wondering how to dye hair white, the double process of lightening and toning in two stages is the most crucial concept to become familiar with. Who Can Dye Their Hair White? Not everyone can dye their hair white. In order to actually be a candidate for the dye process, you need to have virgin hair. This means that either your hair has never been dyed before, or any previous dye is no longer present. If your hair is dyed, even with a semi-permanent color, you shouldn't attempt to dye your hair white until the dye has grown out. This isn't to say that dyed hair can't be lightened however. The issue is that dyed hair can't be completely discolored because the artificial pigment is more resilient than melanin. This artificial color won't be completely lifted with bleaching, nor will it wash out. You can dye your hair silver, or a light shade of blond with a lot of time and sensible treatment, but to dye it white is usually impossible in this situation. Having natural blonde hair, or at least light brown also makes you are far better candidate for the process because significantly less lightening is involved. If you have dark brown or even black hair, you can still dye it white, but it is more difficult to do so, and takes more time to get it light enough without causing excessive damage. Finally, your hair must be in top condition, especially if it is a darker shade. Weaker hair won't stand up to the process and shouldn't be subjected to it. Fine hair won't handle it either. Medium or coarse hair are the best hair types to be dyed white because the hair can take more of a beating before it begins to show damage. 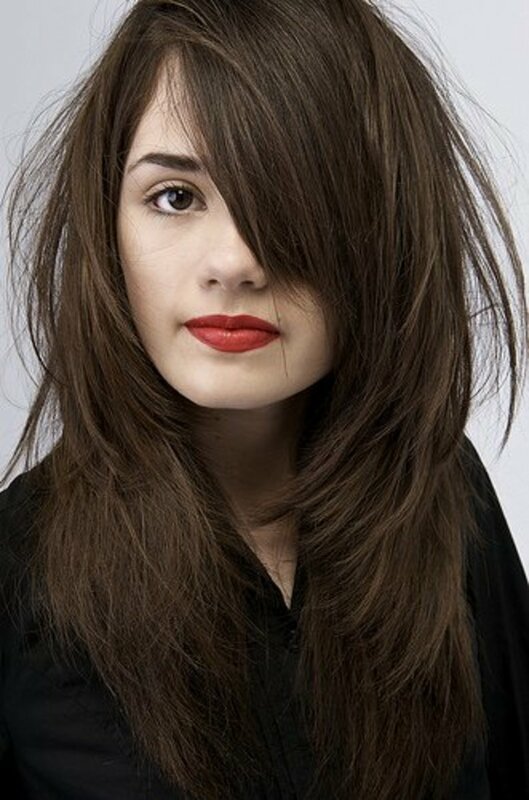 You need a strong foundation to ensure that your hair remains healthy after the process. The most important step to learning how to dye hair white is to learn how to bleach your hair properly. Using bleach correctly, and using the best bleach available will dramatically improve lightening, reduce the damage to your hair, and produce results that are far more even and consistent. When dyeing hair white, you should only use a premium salon bleach. Generic or supermarket products aren't preferable for the process because you need a product that can actually push past all that red and yellow pigment and reach the pale yellow stage. Salon bleach is able to do this in less time and with less damage because added boosters allow it to be rinsed sooner. Less contact time reduces the amount of damage that can occur to the protein in your hair. Learn which products are the best for what you need. The most important factors to successful application of bleach are precision and speed. Speed of application guarantees even results, and sectioning your hair will dramatically improve your accuracy and application time. To section your hair properly, divide it into four quadrants by forming a part directly down the middle of your hair from your forehead to the bottom of your neck where your hair ends. Halve this section out again from ear to ear and you're left with four manageable sections. Each of these sections are easy to work with because all you will need to do is take layers from the top and apply lightener, then continue downwards until the entire section is covered with bleach. This is much quicker than just slapping bleach all over the hair, and you're also much less likely to miss a spot. Bleaching properly is key. Learn the tricks of the trade for stunning results. 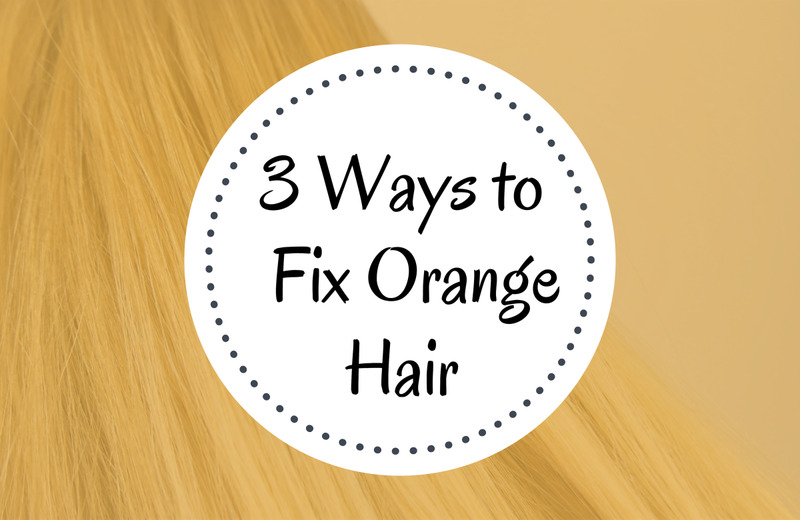 Once your hair has been sectioned out, it's time to mix the bleach. Do this based on the brand's directions because different bleach products will need to be mixed with different ratios of developer. You should also be applying bleach only to unwashed hair that has been left for at least two days as the natural oil protects the hair from drying out and will also protect your scalp from irritation. Using a salon bleach, you should use a developer no stronger than 20 vol developer, because most salon bleach products contain added ingredients that boost lightening without the use of a stronger developer. If you are using a generic powder without boosters or other enhancing ingredients, 30 vol developer is the maximum strength that should generally be used. Adhere to the maximum on-scalp developer for your particular bleach to prevent scalp irritation and minimize damage. 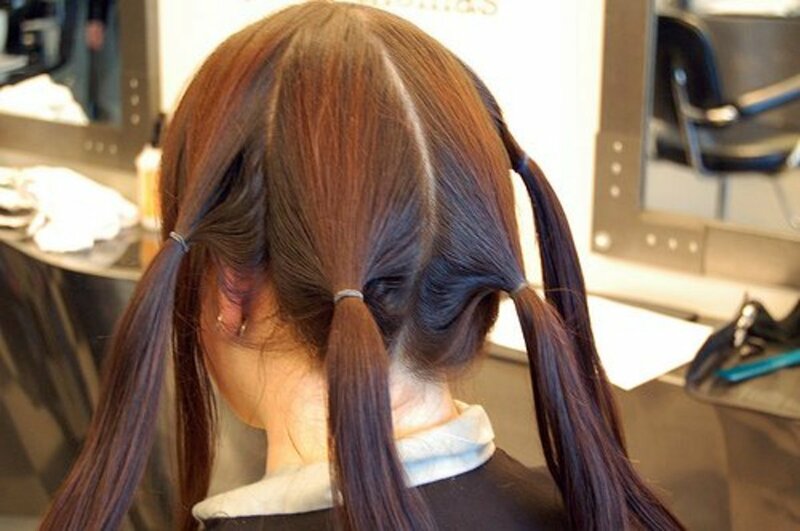 To apply the bleach, choose one of the quadrants that were sectioned out earlier and take a thin layer of hair by sectioning it out with the tail of the tinting brush. Use the brush to apply bleach and cover both sides of the layer thoroughly. Place the layer up out of the way and move down to the bottom of the section in this fashion until you're done. Once you complete one quadrant, simply repeat the process for the rest. Once your hair is completely covered, massage your hair outward to ensure the bleach is evenly distributed. Don't massage the product directly against your scalp however, as this will increase irritation. After massaging the product through your hair, shape it on top of your head in a neat mass and wrap in cling wrap. This traps warmth and equalizes the temperature difference from root to ends to prevent the root area becoming lighter than the rest of the hair. Depending on how dark your hair was to begin with, you will likely need to apply bleach more than once to achieve a pale yellow shade that can be dyed white. This is usually the case with any shade above dark blonde. This is also why your hair needs to be in very good condition prior to dyeing hair white, as it can be common to need two processes to lighten it enough. Leave the bleach product in your hair for as long as is necessary to reach pale yellow, without exceeding the manufacturer's recommended time limit. If the maximum processing time is 50 minutes, for example, you will either remove the bleach when your hair turns pale yellow, or when 50 minutes has elapsed. 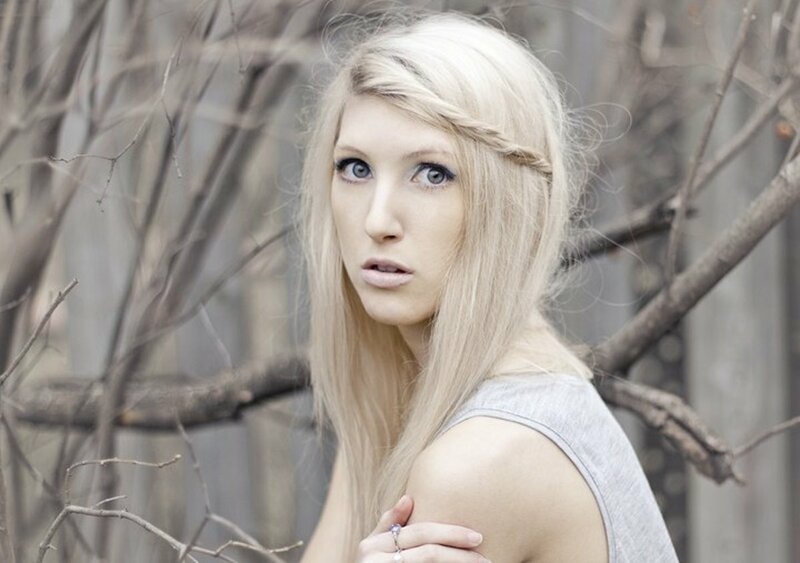 If your hair isn't pale yellow once the maximum time is reached, you will need to go through another process. Don't leave the bleach on any longer than the maximum time limit because the lightening reaction has slowed down dramatically at this point and the small amount of further lightening that will be achieved will be at the expense of exposing your hair to a damaging alkaline pH for longer. If you do need to bleach your hair again, you must not do this without giving your hair a rest. A whole week is the minimum time before you should bleach your hair again. At this point, the natural oils have built up again and your hair is no longer dried out and weakened from a lack of moisture. To keep your hair in optimum condition, wait at least two weeks. You also shouldn't bleach your hair again if it has shown less than favorable results to the first bleach, or if it isn't healthy enough to stand up to the process and still feel and look good. If your hair barely lightened during the first bleach, it's not worthwhile to continue trying to reach a pale color. Now that you've reached the pale yellow stage, you're actually able to dye your hair white. This yellow tone is the result of the tiny amount of melanin still present in your hair, as well as the keratin's natural color becoming visible. To make your hair look white, you need to neutralize the remaining yellow pigment by adding the correct complementary color. A complementary color is any tone that is directly opposite to another tone on a color wheel. To neutralize yellow pigment, you need to use a pastel toner, and the toner needs to be violet-based. 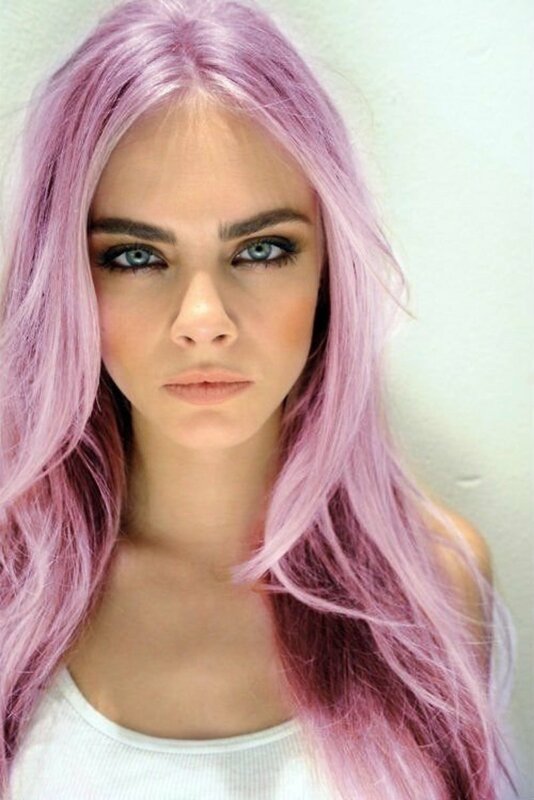 The pastel shade ensures that the dye won't overpower your pale hair. Keeping your hair white is a relatively easy task. Once your hair has been lightened, it will remain that light unless it grows out or you dye over it. The toner in your hair, however, will fade out after washing. In order to prevent your white hair from yellowing, you need to replenish the tone every time you wash your hair. This is easiest to achieve when you use a purple shampoo. Hair that is pale yellow is easily light enough to be toned from a purple shampoo. In fact, you'll probably want to dilute your shampoo down with a plain white shampoo if you have one of the stronger purple shampoos. Use this shampoo in place of your normal shampoo to prevent your white hair from fading. Damaged hair doesn't have to be cut off. With the right care, even the most frazzled strands can return to their former strength and beauty. Are you wanting to dye your black hair blonde but are afraid you can't do it? Discover how to go from black to blonde hair. After dyeing your hair white, the next step is to continue to care for it and keep it healthy. Protein treatments, deep conditioners, and a commitment to the condition of your hair will see it looking great long into the future because healthy hair feels and looks its best. Do you have a question about dyeing your hair white? Wondering whether you could achieve the color? Leave a comment for tailored advice and share you insight with other readers. What conditioner should be used - is there a purple one ? Hi there, I have naturally very white / grey hair, but the tips of my white hair has gone yellow. I use purple shampoo regularly, but wonder if adding a toner or bleaching would work (happy to be white all over, just want to get rid of the yellow/green on the tips). Please advise. Thank you! My teen has med brown hair. She wants several strips of her hair colored fun skittles candy colors. I have questions for you. Do I need to color her hair white first to achieve the bright Skittles colors? Will the purple shampoo change the bright colors and how so? If coloring her hair white first is unnecessary I'm wondering if it's possible to color segments of her hair white first leaving some white and blending in stripes of the skittles color?
] put shades EQ 9v then you turned out Violet. Then I used a gold color to counter the violet and highlighted you. I am 68 and have white hair. I recently acquired a pink patch . What has caused this? Nothing has changed in my life except having a hysterectomy in November. I need advice. Thank you! 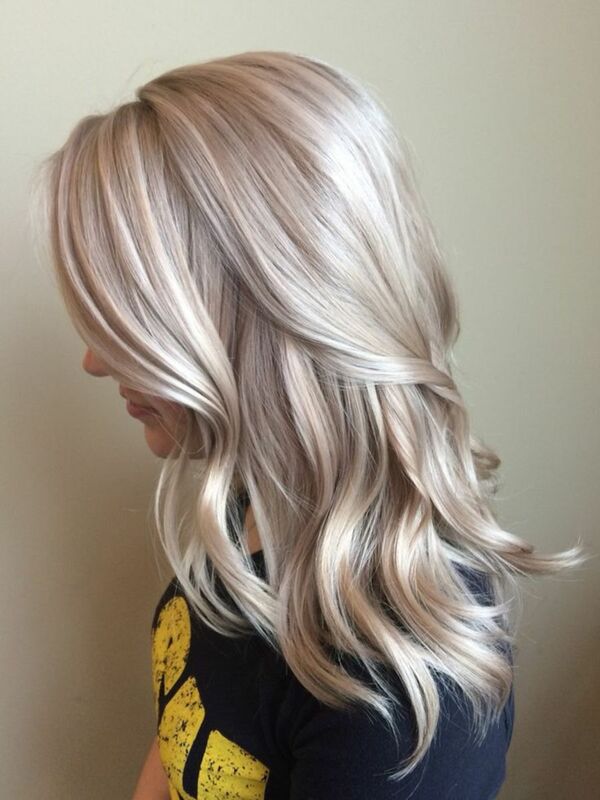 I would like to have white highlights but is this the only way to achieve that? I have black hair naturally, so I assume so, and if so would it be better to go to a salon for it? Thanks in advance. My hair is already white (naturally) with some gray in the back. I am just looking to add some sparkle and more of a silvery tone. What would you suggest? Thank you! So Maffew, my hair is naturally strawberry blonde. It is super short and very fine. The bleach I used didn't hurt my hair. Though , I only had to leave it on for 5 minutes. I really want white hair. This article says not good for fine hair? Hi Maffew! I'm currently white! I was a very light yellow earlier today (after getting my roots and old hilights blended so I could be all over blonde, at a salon) and then I toned my hair with a silver toner and a violet mixed. So now the yellow is gone but I'm not happy with this color. I would like to put something all over that would make me more of a darker blonde. But not too dark. Still a level 9, but more like a champagne blonde or pretty light ash. Can you recommend how I should do this and what colors would work? My scalp is pretty irritated from the bleach from salon today also. This is generally the result of toner building up over time with continued use. When you apply root touch ups, you may be able to dilute the dye down for refreshing your ends, depending on what type of dye it is. For example, if you use a semi-permanent dye to tone your hair after lightening, you can mix conditioner into this to dilute the pigment down. If the dye is permanent, you can add clear mixer in some brands, or use a different level / shade if possible. For example, if you were using 9V or 9A to tone and the brand has a 10V or 10A, this will decrease the grey appearance because the dye is weaker. If necessary you can use the lighter shade on lengths only and a stronger toner on your roots following lightening as long as you blend it well. Another example is to switch shades, like from ash blonde to pearl blonde, or violet blonde. Pearl and violet blonde shades are more violet in tone than an ash shade, so this produces more of a white result rather than grey. However, you can get a violet tinge if it processes too long. A pastel ash shade, where the ash is weaker than a full ash shade is another option in some brands. Hi there! I have been at home dying my hair white for months now. The first time I did it, I absolutely loved the snowy white color it got. Since then, as I've done touch ups my hair has really latched onto the more grey tone. It is still a great look, but I wondered if there was something I could do to keep it less grey and more white? Thank u so much! I am so glad I asked first! Is that Wella Color Charm 12A? If so, it's a high lift dye, so it's not the best dye to use as a toner. This is because high lifts usually deposit more colour than lighter blonde dyes, and contain more ammonia. They're designed to be used as an alternative to bleach that can lift up to 4 levels or so, and even if you use it with a weak volume of developer like 10 vol, it's still more damaging than a pale blonde dye is because of the amount of ammonia present. It will also give a very intense colour; possibly even closer to blueish grey because of the more concentrated dye formula which is designed to cut down warmth as it lightens from a darker initial colour, and the 12A in Color Charm is blue-based, where you need something that is primarily violet based to counteract pale yellow to white. Blue won't tone yellow properly. A violet-blue based toner is usable, but this doesn't turn out white either; it looks more of a silver colour. The best toner will be anything pastel, as these are very light and designed to counteract that last trace of yellow tone to produce white. Eg, Igora Royal 9,5-1, I.Color 10V, Wella Koleston 10/6, etc. In Wella Color Charm, T18 is an option for this as it is a pale violet toner meant for achieving platinum hair. With the dyed hair, you do need to lighten it in order to take it back to a lighter colour closer to your white roots. This isn't always the easiest or quickest of tasks when a lot of dye has been used though. I'd recommend taking it slow to keep your hair healthy and avoid too much damage. If the dye you have been using was permanent, dye remover is an option for the process. This reverses the chemical reaction that makes permanent dye 'permanent' and allows it to be washed out again. It won't always take all the dye out when there's a lot of buildup present and it only works on oxidative dye, but it is generally always a good first step because it doesn't damage your hair and it reduces the amount of bleaching that needs to be done afterwards to finish the colour removal. After that, your hair needs to be bleached to take it towards a light blonde. This may take several applications and it is best to take the process slowly with a weaker mix of bleach rather than to try to lift it quicker with a higher developer. You probably won't be able to get it to white because not all leftover dye can be removed without effectively destroying your hair in the process, but a healthy blonde result is achievable. You also may see uneven lightening depending on whether certain sections of your hair have been exposed to more dye or different shades; eg, the older hair that is further down will usually have been exposed to a lot more dye over time. Once you get it light enough, you can tone it to a nice shade. To better blend with the white roots and to allow this regrowth to look less obvious, an ash shade is best. Aim for something neutral to silvery and your roots can be left for longer before they become a problem. What you use to tone your hair to an ash shade will depend on what tones are present in your hair at this point and there is no guarantee of what that will be until it's lightened. Most likely however, it will be a yellow to slightly orange colour. Natural hair at this point would be primarily yellow, but red tone in dyed hair tends to persist further into paler shades. In any case, violet neutralises yellow, blue neutralises orange, and green neutralises red. Formulate your toner based on what tones your hair contains, matched to the base tone of the dye for proper correction. I am a 50 year old woman who has been fighting prematuring gray hair for years. First gray hair was found at the age of 13 and have covering my gray since the age of 22. My father and paternal grandmother both had white (not gray) hair, by their early thirties. My gray seems to be the same white. I now have to color my roots every two weeks to avoid what I call the "Skunk Stripe"...not attractive! I have been agonizing about going to my natural white hair for several years and thought since gray is trending now, there is no better time than the present. But...I am an absolute certifiable chicken! In addition...I have long layered hair, mid back at the longest point. My thoughts (after researching many hours I might add) are to have my hair bleached and toned and then have white extensions added while my natural White hair grows out. All of the research I have found has mostly been addressing younger women who want to go gray who have dark roots. I am not clear on the best route I should take since my roots are white. What did you use as the toner? When no colour is absorbed from a toner, this is usually always because the toner isn't dark enough. Ie, if the violet tone in the dye is very weak, the small amount added to your hair isn't enough to actually neutralise it. It may be that your yellow hair isn't as pale as you think it is. You can't just bleach your hair white though. No matter how long you bleach it, it never gets to white because the keratin your hair is made out of is a pale yellow colour itself. Ie, even if you could bleach all the melanin pigment, it would still have a faint yellow colour. What will happen is though is that your hair will dissolve. When the concentration of pigmented melanin falls, keratin is more readily a target of the chemical reaction occurring during bleaching, so your hair rapidly becomes damaged at this point. As for food colouring. Technically, you could add violet food colouring to shampoo and use this as a toner. I want to stress though that if you were to do this, be very sure that the food colour you use is a pure violet tone (Not purple, and with no red or blue tones), or else it can look faintly pink or blue. Also be careful of how much you use as you will only need a very small amount. A better idea is to use a violet shampoo like Fudge Violet to neutralise the yellow reliably. Test it on a small section of damp hair. If it's too strong, dilute it down with white shampoo before applying all over. As above, do make sure you test any violet shampoo though as they are often very strong on pale hair. Hi I just bleached my hair to a pale yellow color and I tried to tone it but the toner didn't work my hair is still yellow even though I left it on for 30 minutes. I don't want to tone it again because the toner made my head hurt can I just bleach my hair white without toner or I've heard of using food coloring but I don't know if that works.